A Cambridge University graduate Ben dabbled in small and mixed practice before returning to his Mid Surrey pony club roots in equine practice on the Surrey/West Sussex border. This is now Mayes & Scrine Equine Veterinary Practice, a 5 vet RCVS PSS tier-2 100% equine practice with purpose built clinic facilities. 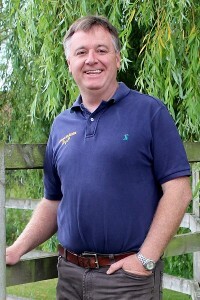 He is a true equine general practitioner with clients from all disciplines of equine sport and is equally happy with routine call outs or out of hours surgery. Ben is married with three children. Ben joined the British Equine Veterinary Association Council in 2006 and was the 51st president which culminated in the 3 day congress at Birmingham ICC in September 2012 with some 1200 daily delegates and with the HRH The Princess Royal attending. With 2500 members BEVA represents most UK equine vets, liaising with the rest of the profession, government, the horse industry and internationally. He has headed up the welfare portfolio, Safer Horse Rescues, insurance matters, the New Grad programme and chaired BEVA’s policy committee and Board of Trustees. Ben was a Gamesmaker vet at the equestrian events at London2012, is a trustee of the research charity the Animal Welfare Foundation, a member of the Advisory Board for the new University of Surrey Veterinary School and is a vice-president of the Federation of European Equine Veterinary Associations (FEEVA). 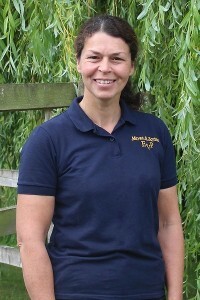 Judy qualified from Cambridge in 1991 and worked for several years in mixed, mainly equine practice in North Yorkshire. Strength, enthusiasm and loyalty meant that Judy remained ‘up north’ far longer than Ben, but Ben tempted her to join the practice in 2001 and she became a partner in 2003. Judy has an encyclopaedic knowledge and enjoys challenging medical cases, but her particular interest is lameness; its investigation, causes and treatment. When off-duty, Judy attempts to keep fit with various endurance sports including cycling sportives and adventure marathons, the latter benefitting her interest in exotic travel and photography. 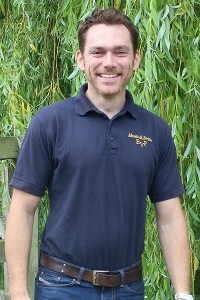 Chris qualified from Edinburgh University in 2009 and initially worked in large animal practice in Aberdeen before moving to The Liphook Equine Hospital where he completed an 18 month internship covering all aspects of equine medicine and surgery. Chris is particularly interested in infectious diseases and their control and he has an MSc in Veterinary Infectious Disease and Control from Liverpool University. 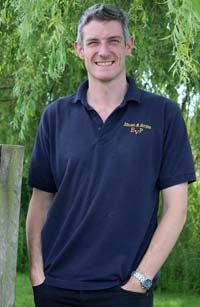 He is currently undertaking a certificate in advanced veterinary practice. Corrado hails from Verona in Italy, he graduated from the University of Bologna in 2003 and shortly after moved to Florida in the USA for his clinical training. He did an internship in Equine Medicine and Surgery at Byron Reid & Associates a private hospital in Palm Beach and then went back to University to complete a PhD in Equine Critical Emergency Care. Corrado moved to Newmarket in 2010, where he lived for three years, working at a nearby practice dealing with a wide range of race, sport and pleasure horses at both ambulatory and clinic based level. During this time he completed a Certificate in Advanced Veterinary Practice with a focus on orthopaedics. Corrado enjoys all aspects of equine medicine with a special bias for lameness and critical emergency care. Prior to becoming a vet Corrado was a professional three day event rider. He won individual bronze in the Young Riders World Championship in 1997 and was a member of the Italian Eventing Senior Team qualifying for the FEI World Equestrian Games in 1998. Outside of work Corrado is a keen lead guitar player and is actively gigging in London. Mary-Kate graduated from University College Dublin in 2017 and travelled to Australia to work in Brisbane, Queensland. There she worked in an ambulatory equine practice and dealt with a variety of horses ranging from pony club ponies and leisure horses to racehorses and Western barrel racers! Following this MK relocated to Perth where she worked with racehorses in both an ambulatory and clinic based setting. While in Perth she developed a lasting interest in lameness, respiratory medicine and diagnostics. 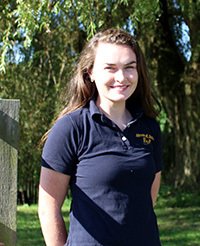 MK also has a keen interest in mare reproduction and has spent time at an equine embryo transfer and AI centre in Belgium. 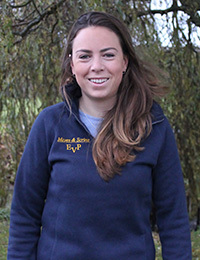 Naomi graduated from Bristol 2 years ago and then worked in a mixed practice predominantly dealing with the equine side. She then completed an internship at Donnington Grove a surgical and medical referral hospital, where she dealt with both routine and emergency referrals, specialising in anaesthesia. In her spare time Naomi enjoys a variety of sporting activities including skiing, polo and cycling.